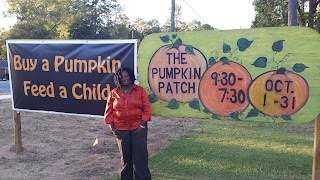 Thrifting Central Ga. : I Bought My Pumpkin To Help Feed a Child! 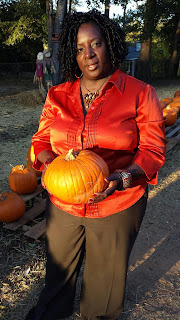 I Bought My Pumpkin To Help Feed a Child! 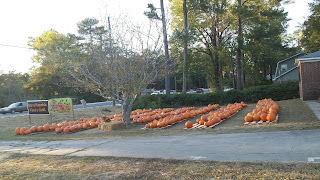 If you live in North Macon or drive through Forest Hill Drive , then you have seen the rows of pumpkins spread over the lawn of Forest Hill United Methodist Church . Well those pumpkins are not just out there to decorate the church lawn , they are there as part of an annual fundraiser for the Forest Hills United Methodist Church. 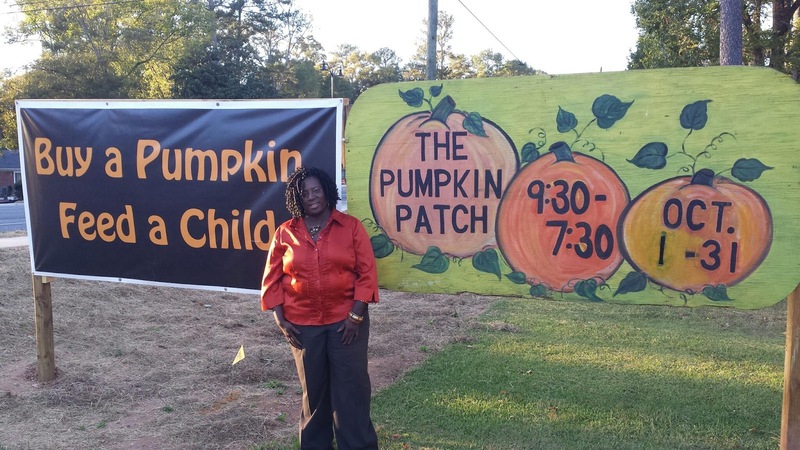 Sales of the pumpkins help fund the church based Back Pack Ministry, their ministry helps to feed over 1,200 children from three different counties. I have seen this wonderful program from both sides. 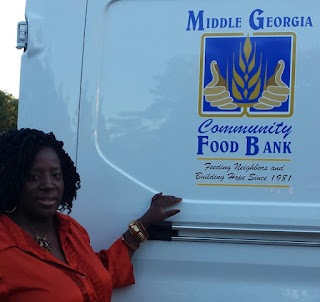 First as a volunteer with Jr. League of Macon (I bagged up the foods to go into back packs that go to help feed kids in the county. Over the last two years as an active Jr. League Member, I have also participated at the actual in school back pack donation days at selected schools in Bibb County. The league helps Back Pack Buddies as part of the league Community Impact Projects. I got my pumpkin. You should help this great cause and go get your pumpkin too. **The Ministry is always in need of food items and volunteers to pack the bags each week. If you can help please go to the church website under the service tab. Buy a Pumpkin, Feed a Child! Forest Hills United Methodist Church. The Back Pack Ministry began in February of 2011 with 9 students from Lane Elementary. In the years that have followed we've grown to service over 1,200 children across 19 schools and 3 counties. ...But not only did our program grow, we've inspired seven other churches to create their own programs which now serve an addition 450 students with food, clothes, & school supplies.